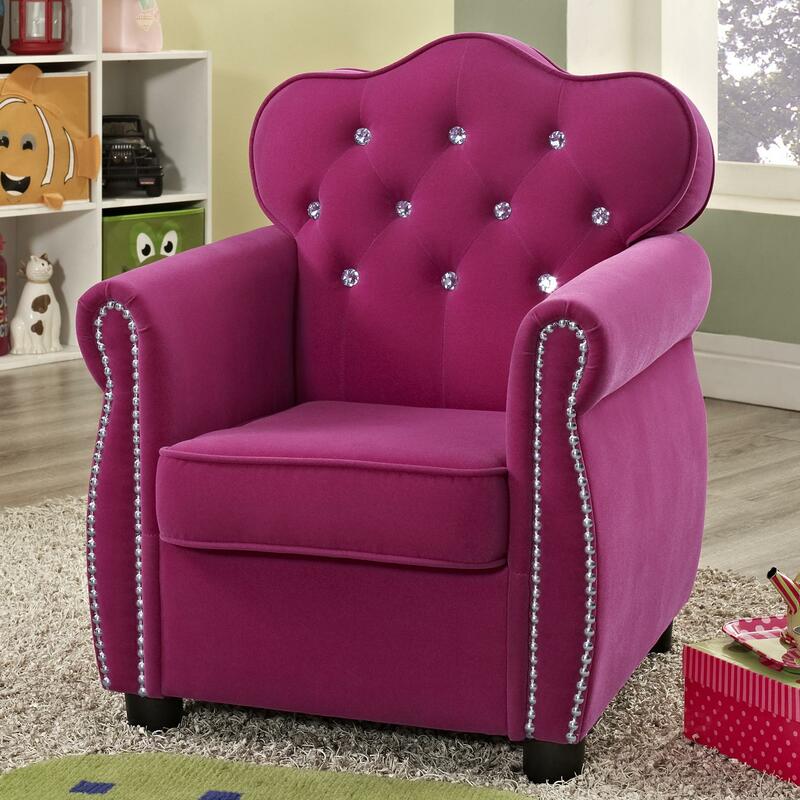 Add a fun pop of color and style to your child's room with this kid sized chair. The feminine silhouette is adorned with faux crystal buttons and trim to add eye-catching sparkle. The seat and back are filled with a plush foam for comfort while enjoying some play time in a princess themed room. The Amelia Contemporary Pink Kids Chair with Tufted Back by Crown Mark at Household Furniture in the El Paso & Horizon City, TX area. Product availability may vary. Contact us for the most current availability on this product.